SABRINA CERVANTES was elected in 2016 to represent Corona, Eastvale, Jurupa Valley, Norco, and portions of Riverside in the State Assembly. She serves on the Assembly’s committees for Banking and Finance, where she works to protect the rights of consumers, and Jobs, Economic Development, and the Economy, which deals with trade and economic policy. Sabrina chairs the Assembly’s Select Committee on Veteran Employment and Education. Over the course of her first year in the legislature, Sabrina authored six bills that were signed and chaptered into law, including important legislation to improve services for our veterans, help small businesses receive loans, and assist seniors and their families in finding long-term care. Sabrina fought to secure over $400 million in new funding to reduce traffic congestion on roads, bridges, and freeways within western Riverside County. 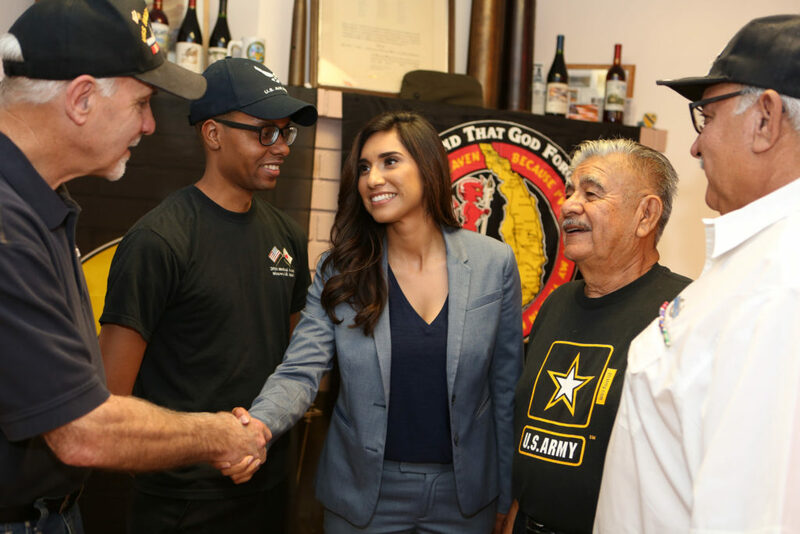 She also delivered $2 million in funding to build a Veteran Resource Center at Norco College, and she worked closely with Senator Richard Roth to restore Vehicle License Fee (VLF) funding to the cities of Eastvale and Jurupa Valley. These funds have helped the cities pay for public safety services and avoid municipal bankruptcy. Prior to her service in the legislature, Sabrina worked as a District Director for the State Assembly and as a Director for the California Voter Registration Project. Sabrina is a lifelong Riverside County resident. She earned her bachelor of arts degree in political science with a minor in public policy from the University of California, Riverside, and she completed an executive education program at the John F. Kennedy School of Government at Harvard University.